Sunday 8 March on the stunningly beautiful Island of Mljet was abuzz with the gentle, almost inaudible sounds of electric car engines and enthusiasm on people’s faces. 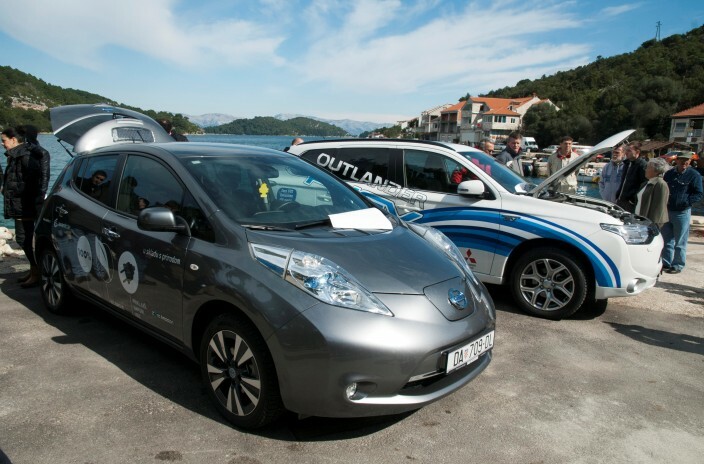 The day marked the launching of the “Mljet – The First Green Island In The World” project, set in motion by the largest financial stimulus for electric cars in Europe so far. 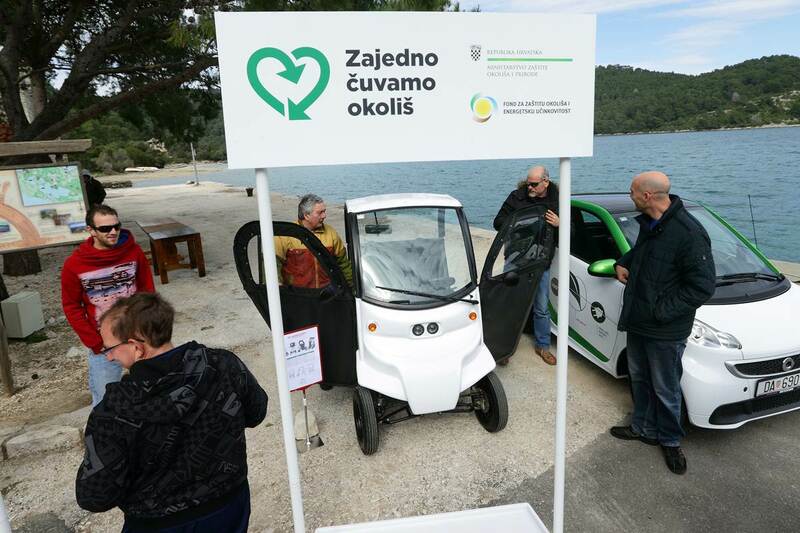 Deputy Environment Minister Tonci Restovic has presented the project ‘Mljet – the world’s first green island’, which amongst other incentives, will give grants to residents who purchase electric vehicles to reduce CO2 emissions and preserve protected areas of the island. The project is also part of the government’s plan to encourage energy efficiency in transport. 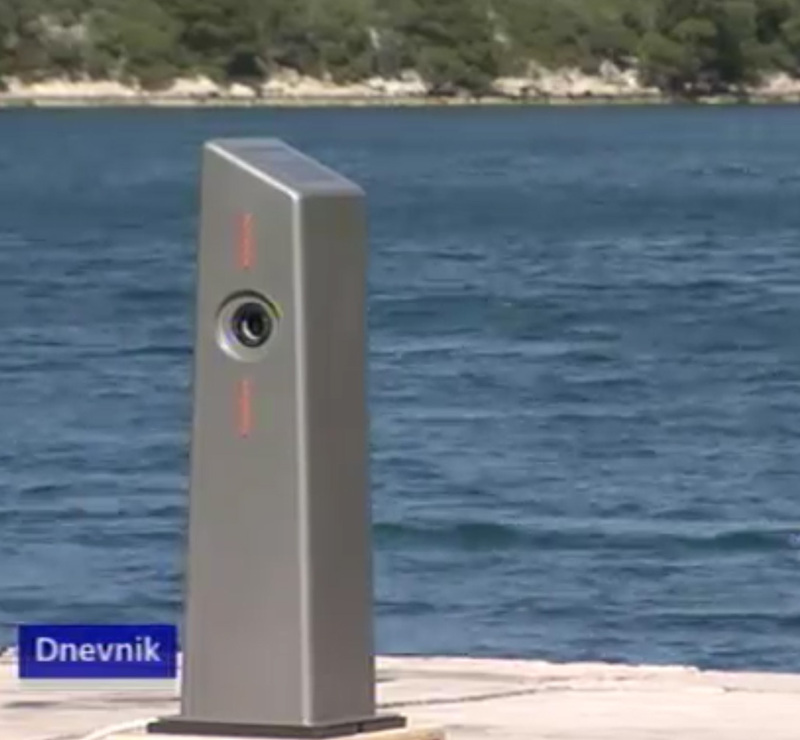 Electric vehicle charging stations will be accessible on the island and will be free of charge to use for locals as well as visitors to the Mljet National Park. “ Energy efficiency projects are recognised as the most effective ways of battling against the consequences of climate change and they are a part of the government’s to push the country forward. That’s why we have secured 600 million Kunas (79 million Euro) from the Fund in this year’s budget as stimulus for energy efficiency projects, which benefit everyone, the young and the older, the employed and the unemployed, the families and the single people in order to enhance the quality of life and the living standard, and move forward as a society. 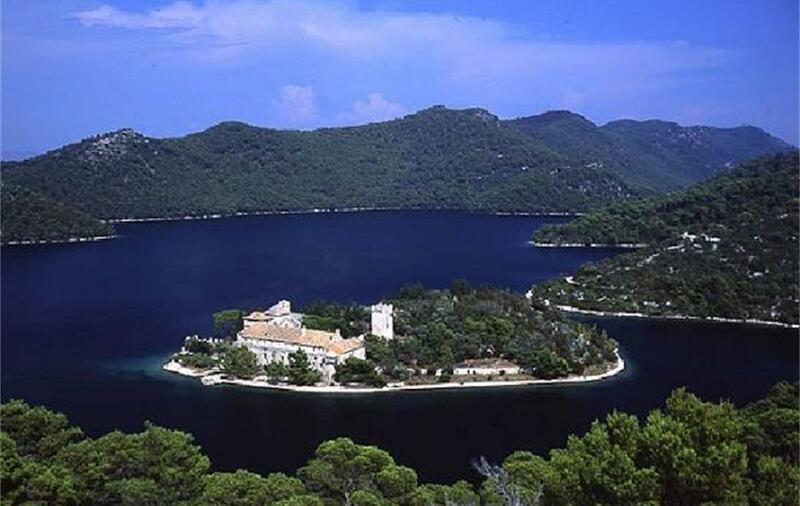 In addition, “Mljet – the first green island in the world” project, which includes the participation of the ministry for the protection of the environment and the nature, the European Union Fund and the National Park Mljet, will provide the opportunity for people living on Mljet to utilise the available 105,000 Kunas (14,000 Euro) for the purchase of an electric car and thus contribute to our efforts towards sustainable development of all parts of Croatia,” said Restovic. The island’s permanent residents who join the so-called “I drive economically” project will qualify for the one-off funding of 105,000 Kuna towards the purchase of an electric car. It is envisaged that the subsidies will cover between 40 to 60% of the cost of an electric car and various models are already on offer. In addition to the above projects, National Park Mljet is making good progress with its “Green Line” project, which involves EU Fund subsidies for the purchase of ecologically acceptable vehicles for parks including electric mini-van, 2 electric tourist trains, 10 electric bicycles, 1 electric and 1 hybrid plug-in vehicle. Although born in the continental part of Croatia – village of Smiljan – way back in 1856, the legendary and world famous inventor within the area of electrical supply system, Nikola Tesla, would be very proud of the “Mljet – the first green island in the world” project. Mljet received its National Park status for its unique cultural and historical heritage, which dates back to the Illyrian period, the Roman Empire, and the times of the Republic of Dubrovnik (1358 – 1808). But this proclamation was also due to its “salty-fresh” lakes, the flora, the unique jagged view of the shore, the reefs, the steep tall cliffs, the numerous small islands and the varied evergreen flora of the nearby mountains, which steeply rise over the deep blue of the sea and block the view of the numerous stony fields and ancient settlements made of stone. The system of saline lakes of Mljet is a unique geological and oceanological karst phenomenon, which is important not only within the scope of Croatia, but also within the scope of the world. 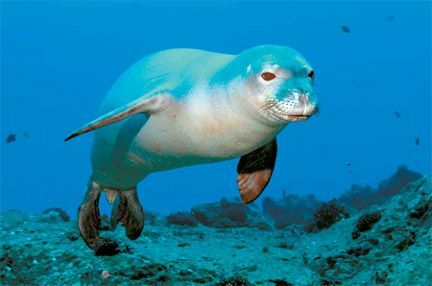 The waters of Mljet are a favoured habitat of the Mediterranean monk seal. The famous French oceanographer Jacques Cousteau, when he was diving in the sea area of Mljet, declared that the waters there are among the cleanest in the world. The isle of Mljet, covered in unique flora, is one of the most beautiful islands of the Adriatic Sea. 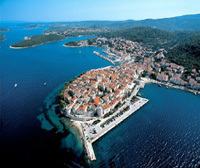 It is located between Dubrovnik and the island of Korcula. A third of its area in the west (31 sq.km.) has been declared national park due to the unique features of this place. The ancient Illyrian tribes left traces of their habitation of the island — stone structures, burial sites. In the times of the Roman empire, the island was mentioned in several documents. The most valuable evidence of that time is the ruins of a Roman palace dated the 1st century, a basilica, and the fortification structures in Polaci. In the middle of the 12th century, Benedictine monks built their monastery and a church on the island in the middle of the Large lake. 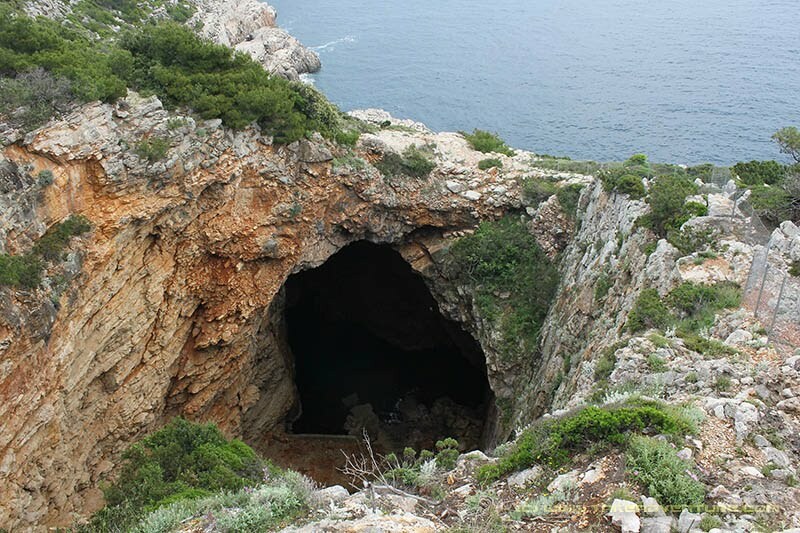 One of the landmarks of the isle of Mljet is Babino Polje cave. According to the local legend, Homer’s the King of Ithaca survived a shipwreck on his way back home from the Trojan war, and it took place near the island of Ogygia. Odysseus swam into the cave for shelter and there nymph Calypso, daughter of Poseidon, God of the sea, waited for him. Charmed by the beauty of the island’s nature and kept captive as an immortal husband to the nymph Calypso, Odysseus stayed on the island for 7 long years. Scientists have not agreed where to place Homer’s island of Ogygia , some say it’s around Malta, some say it’s on the Atlantic and the people of Mljet in Croatia say it was right there where the Odysseus cave is, in Babino Polje, in front of which is a rocky island called Ogiran! And why not live the legend, I say! At present, the Odysseus hotel accommodates tourists coming to the settlement of Pomena. The largest coral ridge reef in the Mediterranean is located at the entrance to the Veliko lake in a place of strong currents. For many tourists, Mljet is one of the islands lost in the vastness of the sea. Indeed, it is not so easy to get to this island. 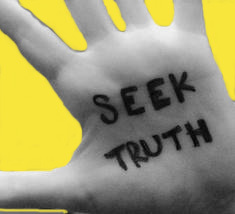 But it is no excuse for not going there. The scenery of this island, which are mentioned in the stories of Odysseus’ exploits, in the parables of St Paul and the Benedictine monks deserve being seen. A fine sharing, Ina – most enjoyable and a real step forward. Love the idea – so exciting, John. Thank you. It sounds a wonderful place and now it will be cleaner and quieter. Congratulations to the government for putting money where their mouth is and making the necessary investment. I’m impressed… Now the rest of the countries in the world need to go greens! I am delighted to read this. It sounds lovely. Thank you. Good to hear of this environmentally friendly initiative! Well done Croatia leading the World in being green. I hope many more follow you example. I can understand why Ina. It really puts Croatia on the World stage as a leading Country, an innovator. I hope the new President is in for a long stay and can continue to wipe out memories of bad times under Tito while reducing levels of hunger in the poor, increasing manufacturing again and showing what can really b achieved in a democracy where the leadership is good. This redneck American needs to here the sounds of big, gas guzzling 8 cylinder engines! Croatia leads the world! Great project that other countries should embrace. As long as a nuclear power or coal is not used to generate the electricity … Nikola Tesla would have some ideas for that, as well, I think. No petro … fantastic.